The seventh outing from Queens of the Stone Age is a bold and risky move which, in places, pays off well. With Villains being their seventh record, frontman and absolute legend Josh Homme wanted to make a bolder record than previous releases like …Like Clockwork and the work of art Songs For The Deaf. To get what Homme wanted, he brought in producing juggernaut Mark Ronson, producer of 2015’s most horrendous catchy pop song Uptown Funk, to oversee the working of the rock band’s seventh record. On the face of things, it’s not as good as their previous work, however, it’s so refreshing to see a ‘veteran’ rock band evolving with time, and making new music for not only the die-hard fans but for the new fans. I personally wasn’t a big fan of QOTSA but after listening to the previous records, and Villains, I regret not listening to their music sooner. Individually, the song’s don’t really scratch the surface of their best record Songs of the Deaf. The standout track for me is the lead single The Way You Used To, where you can really hear Ronson’s subtle influence on the track, layered in-between the mean and muscular sound common in every QOTSA track. 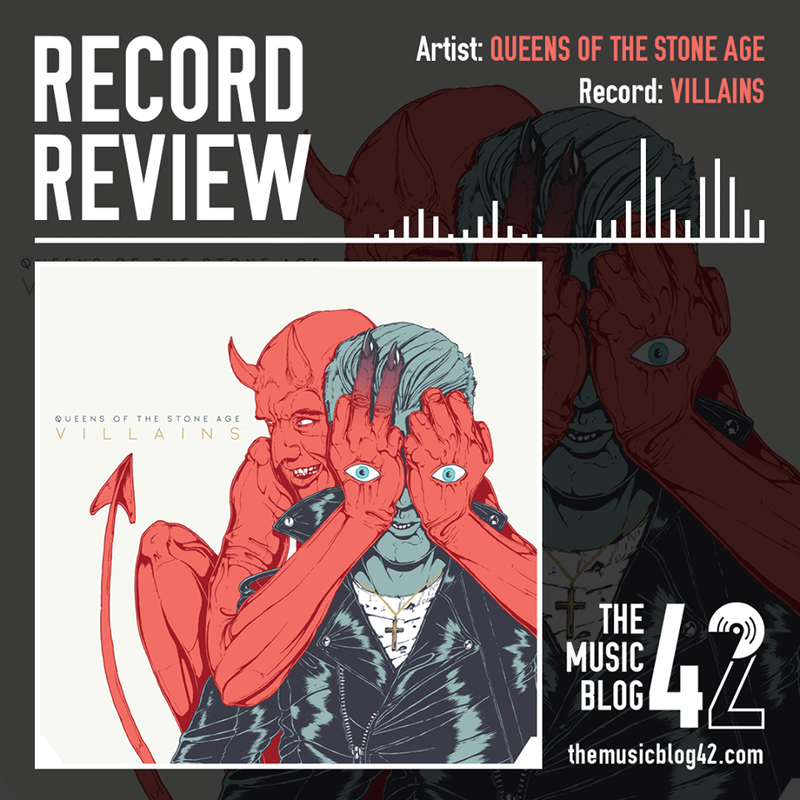 Villains is a danceable QOTSA record, helped by the influence of Ronson. Is it one of their best? Time will tell. But as it stands, it is a really good effort from Homme and co.